My brother and his family recently rescued a cat from Pennsylvania. I don't know the full history, but apparently he was transported to New Hampshire by a friend of theirs. They knew he was blind in one eye but weren't sure the extent of what was going on. Toby's a real love, super friendly and instantly bonded with my 15 year old nephew, Matt. He promptly created a webpage to help raise awareness about his kitty's needs. 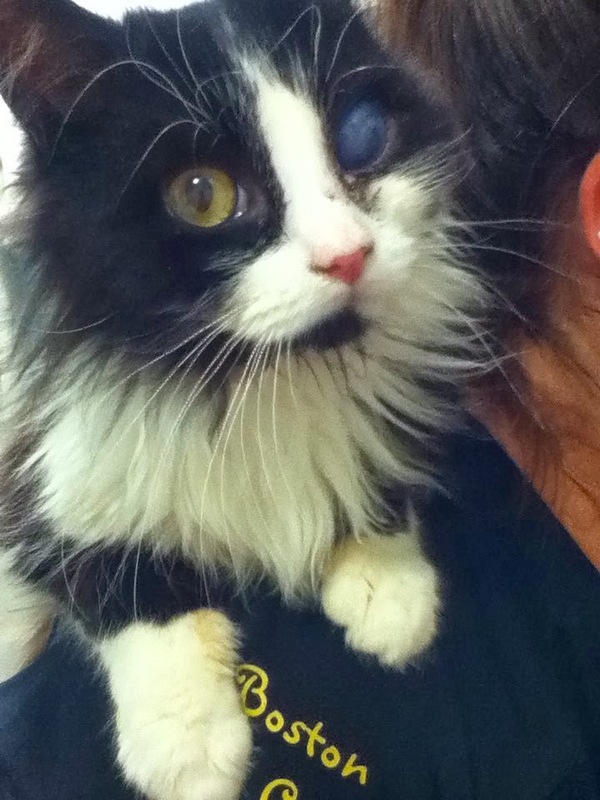 Thankfully, Toby tested negative for FIV & FeLV and is overall in good health except for worms and his right eye. The vet diagnosed his eye condition as glaucoma and he needs surgery to remove the affected eye. They are trying to raise some money to help make that surgery happen. If you would like to help, you can do at their GoFundMe site, you can also help by purring and praying for sweet Toby. Thanks! Another weekend is right around the corner! Have a great weekend!! Just sent out a tweet and put it on FB. Every little bit helps. Toby looks like a wonderful sweetie! What a sweet kitty. I will try to help if I can! What a wonderful young cat guy to set up a Toby Fund! We heard about this from Angel Abby's FB post. 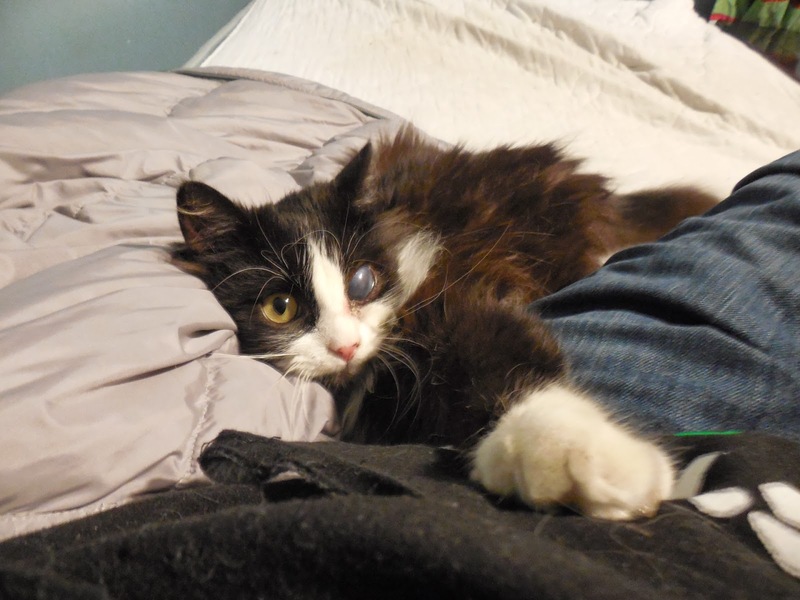 Our Ashton had to have an eye removed, so we really relate to this story. We'll leave a few green papers and a little advice for them. Thanks for bringing it to our attention! Toby is a handsome boy. We are all purring for him to get rid of those nasty worms and get his surgery. I am purraying for Toby - he is so incredibly cute! HURRAH for Toby...he's found a wonderful family! We are purring his eye doesn't hurt. Donated - what a handsome kitty! And so delightful reading about the bond between him and your... nephew? Please keep us updated!